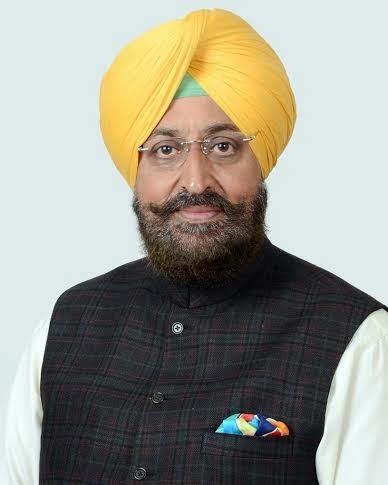 Chandigarh: The Punjab Pradesh Congress Committee President, Mr. Partap Singh Bajwa, today termed the allegations levelled by Capt. Amarinder Singh against him and his brother, Mr. Fateh Bajwa, that they had tried to sabotage his campaign in Amritsar as utter lies. “I reject the allegations with the contempt they deserve ”, he added. In a statement, Mr. Bajwa said it was his prerogative to visit any constituency in the state as the party President but in this case, Capt. Amarinder Singh was resorting to such blatant falsehood for the reasons best known to him. “Is he motivated by the desire to occupy the post of the PPCC chief from which he had to go following successive defeats of the Congress in every election beginning with 2007? It is Capt. Amarinder Singh who handed over the government on a platter to the Akali Dal in 2012 when even Parkash Singh Badal and Sukhbir Singh Badal could never imagine that they would return to power”, he said. “Capt. Amarinder Singh is trying to deflect from the real issue as a number of MLAs and leaders from other areas had camped in Amritsar throughout the campaign neglecting their own regions and it was this strategy of his which resulted in colossal loss in other areas. Now when he will have to explain this situation to the party high command, he is trying to raise frivolous and baseless issues and levelling false allegations to divert focus. It was because of this reason that the party got defeated in Gurdaspur, Khadoor Sahib, Bathinda, Anandpur Sahib and Sangrur. The Congress would have performed much better had he not invited all these leaders to campaign for him in Amritsar”, Mr. Bajwa said. The PPCC chief said his brother was bed ridden for more than a week during the election campaign and he had no time to go out of Gurdaspur as he himself was contesting the election. Mr. Bajwa advised Capt. Amarinder Singh, who was a senior leader and member of the Congress Working Committee, to strengthen the hands of the party President Mrs. Sonia Gandhi and Vice President Mr. Rahul Gandhi, at this critical juncture rather than indulging in such frivolities which did not behave such a senior person. Several Punjab Congress MLAs and other senior leaders today challenged the moral authority of the former chief minister Capt. Amarinder Singh to question the leadership of the state party chief, Mr. Partap Singh Bajwa, reminding him that the party had been reduced to just two seats in the 2004 Lok Sabha elections when he was the chief minister. In a statement issued here today, these leaders reminded Capt. Amarinder Singh that he did not offer his resignation to the party high command, neither did he own the responsibility at that time. He said it was strange that the person under whose leadership the Congress had suffered successive defeats was leading the campaign against Mr. Bajwa. He said for the first time in the history of Punjab, it was under his presidency that the Akali Dal had tasted successive victories in the Assembly elections which was unprecedented and that too at the time when the people clamored for change. These leaders who included Mr. Parminder Singh Pinki MLA, Mr. Om Parkash Soni MLA, Mrs. Karan Brar MLA, Mr. Ajit Inder Singh Mofar MLA, Mr. Bharat Bhushan Ashu MLA, Mr. Sangat Singh Gilzian MLA, Mr. Randip singh Nabha MLA, Mr. Jasjit Singh Randhawa Ex-Minister, Mr. Surinder Pal Singh Sibia Ex-MLA, Rajanbir Singh General Secretary PPCC, Mr. Ramesh Singla Ex-MLA, Mr. Jasbir Singh Dimpa Ex-MLA, Mr. Joginder Singh Mann Ex-MLA Mr. Yoginder Dhingra Former President Distt. Congress Committee Amritsar Urban and Anil Dutta Secretary PPCC counselled restraint to these leaders saying the need of the hour was to strengthen the hands of the Congress President, Mrs. Sonia Gandhi and the Vice-president, Mr. Rahul Gandhi. They said in the North, Punjab was the only state where the Congress managed to retain three seats out of 13 and the situation would have been entirely different but for intervention by the Aam Aadmi Party. The Congress was close second on the four seats won by AAP. They pointed out most of the party MLAs from whose Assembly segments the Congress had lost had shifted to Amritsar to campaign for Capt. Amarinder Singh. The Congress had been defeated by huge margins in the very Assembly segments represented by the MLAs who had been openly lobbying against Mr. Bajwa. They said the party was wiped out in Himachal Pradesh, Jammu and Kashmir, Rajasthan, Delhi and Uttrakhand while could manage only one seat in neighbouring Haryana. Comparatively, Punjab had scored better, despite AAP. “Punjab is the only island which managed to survive this tsunami which hit the Congress in the entire North India”, they added. They recalled it was Mr. Bajwa under whose leadership the party had launched a massive anti-drug campaign which had received overwhelming response. However, it was Capt. Amarinder Singh who had played a dubious role. However, Capt. Amarinder Singh was himself greatly benefited from that campaign in Amritsar where the most influential Akali leader was in the eye of the storm for patronising drug smuggling. Elsewhere, it was AAP which benefited from this campaign, including in Patiala where three time MP Mrs. Parneet Kaur, wife of Capt. Amarinder Singh, lost to AAP. They also challenged the locus standi of Capt. Amarinder Singh questioning the authority of Mr. Gopal Krishan Chatrath who heads the Disciplinary Act Committee in issuing show cause notices to two MLAs. They pointed out that Mr. Chatrath had been appointed to the office by Mrs. Gandhi. They said Capt. Amarinder Singh should explain as to in what capacity he had issued show cause notices to the leaders like Mr. Mohinder Singh Kaypee, MP, Mrs. Santiosh Chaudhary, MP, Mr. Brahm Mohindra, Mr. Randip Singh Nabha and Mr. Avtar Henry after the Moga byelections. “Do You think you were not bound any rules at that time and you were the sole authority”, they asked.